One of the most important factors in having a long-lasting, healthy relationship is creating quality alone time with just you and your loved one. However, between kids, work, and taking care of the home, it can be difficult to find the time to plan a getaway. That’s why we’ve created this all-in-one guide to romantic things to do in Lake Tahoe. Whether you’d prefer a relaxing getaway with your special someone or an exciting adventure in the mountains, we’ve got the perfect suggestions! Preview our ideas below, and find out how you can book one of our beautiful and cozy cabins for your next vacation. Try Paddleboarding: One of the most popular summertime activities in North Lake Tahoe is paddleboarding. Our crystal clear lake is the perfect environment for this relaxing activity. On a sunny day, you can see straight down to the rocks at the bottom of the lake. 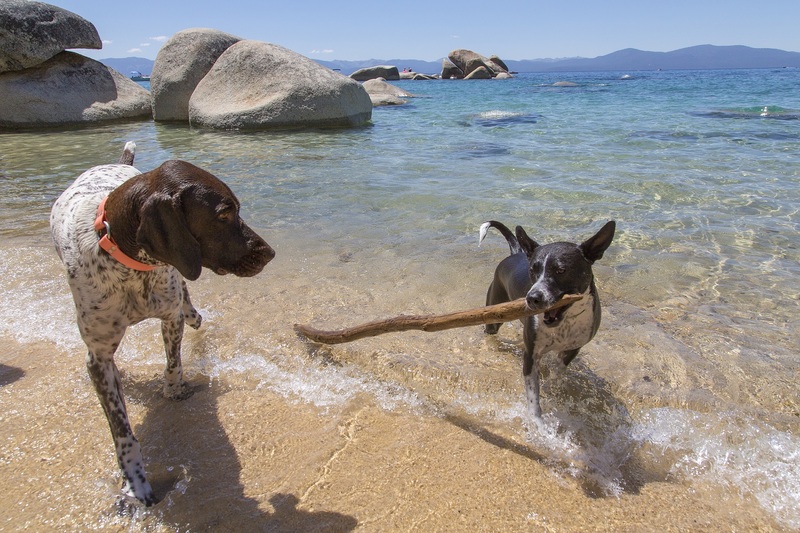 When you stay in North Lake Tahoe, you won’t have to bring any equipment with you. We have excellent paddleboard rentals nearby! Enjoy a Hike: Hiking is another beloved activity in this region. From the Tahoe Rim Trail, which stretches over 150 miles around the edge of the lake, to the Eagle Rock Hiking Trail, which is much shorter and dog-friendly, you won’t have trouble spending an afternoon exploring. Have a Skiing Adventure: North Lake Tahoe is one of the best ski destinations in the country. We have a handful of fantastic resorts nearby, any of which are excellent choices for your romantic getaway. 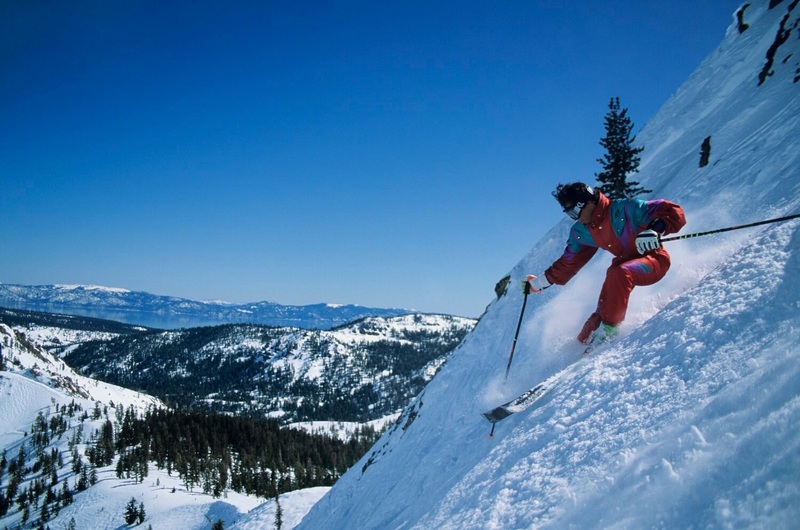 For steep or fast runs, head to Squaw Valley and Alpine Meadows. For the tallest slopes, Mt. Rose is the perfect choice. Homewood Mountain Resort has some of the best views in the region and is well-suited for less experienced skiers. Snuggling by the Fire: Is there anything more romantic than an evening spent in front of a fire with a mug of hot chocolate or mulled wine? We have a great selection of properties that come with working fireplaces. Glide Around While Ice Skating: Picture yourself gliding over ice, hand-in-hand with the one you love most. Northstar Resort has a great ice skating rink, as well as other great family-friendly activities to keep you occupied. Enjoy a Romantic Dinner: Enjoy the perfect date night during your stay! Visit a nearby North Lake Tahoe restaurant to indulge in a delicious meal. You’ll find everything from fine-dining eateries to quiet cafes. Visit a Local Brewery or Wine Bar: North Lake Tahoe is home to some world-class breweries and wine bars. Consider stopping by Alibi Ale Works, which uses Lake Tahoe water to create their brews. If you’d prefer a glass of wine, Uncorked is a great place to stop. They have locations in Tahoe City, Truckee, and Squaw Valley. Indulge in a Spa Day: There’s nothing quite like indulging in an exquisite massage or facial with your loved one. Book a treatment at North Lake Massage and Skin Care or Lighthouse Spa for a day of pampering. Are you ready to take advantage of the many romantic things to do in Lake Tahoe? Then reserve a rental home with Tahoe Moon Properties today. We have an outstanding selection of homes and cabins in some of the best locations around the lake. Enjoy amenities that set the mood, like cozy fireplaces and hot tubs. Your next vacation starts at one of our stunning homes. Browse through our full selection of vacation rentals and book today. We look forward to having you.